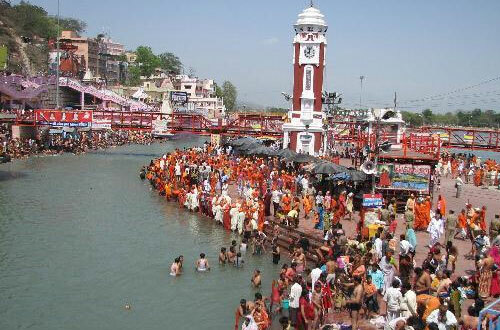 A place for all seasons, Haridwar is a district in the western part of Uttarakhand covering an area of 2360 sq. km. 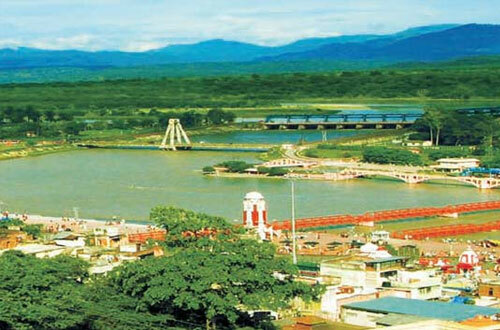 Haridwar is unique for its blend of the Indian culture, Industrial growth and nature’s own show case. Archeologists have discovered terracotta culture dating back to 1700 B.C. and 1200 B.C. in this region. The district came into existence on 28th December 1988. The district administration is subdivided into three tehsils: Haridwar, Roorkee, Laksar and six development blocks: Bhagwanpur, Roorkee, Narsan, Bahadarabad, Laksar and Khanpur. 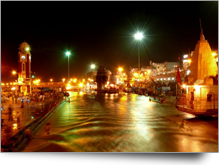 Haridwar meaning “Gateway to Gods” literally is also known as Mayapuri, Kapila and Gangadwar. 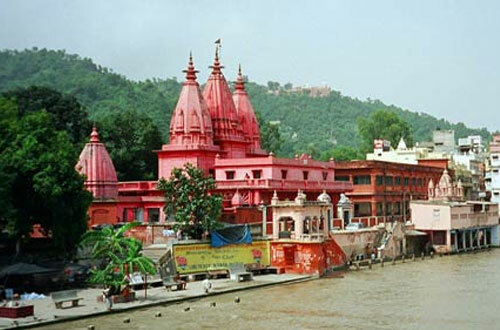 The followers of Lord Vishnu (Hari) and Lord Shiva (Har) pronounce this place as “Haridwar” and “Hardwar” respectively. It is the point of entry to Dev Bhoomi and the four main pilgrimage centers, the Char Dham of Uttarakhand, thus is of high religious value among the Hindus. It is said that the legendary King Bhagirath brought river Ganga from heaven to earth in order to provide salvation to his ancestors. Devotees believe that they’ll get salvation by doing a holy dip in the river Ganga at Har-Ki-Pauri in Haridwar and will go to heaven. In the evening the Ghats look breathtaking as thousands of lamps and flowers float illuminating the holy waters of the Ganges. Haridwar is the place where river Ganges enters the planes. The water here is crystal clear and cool. Rajaji National Park lines the boundary of the district. 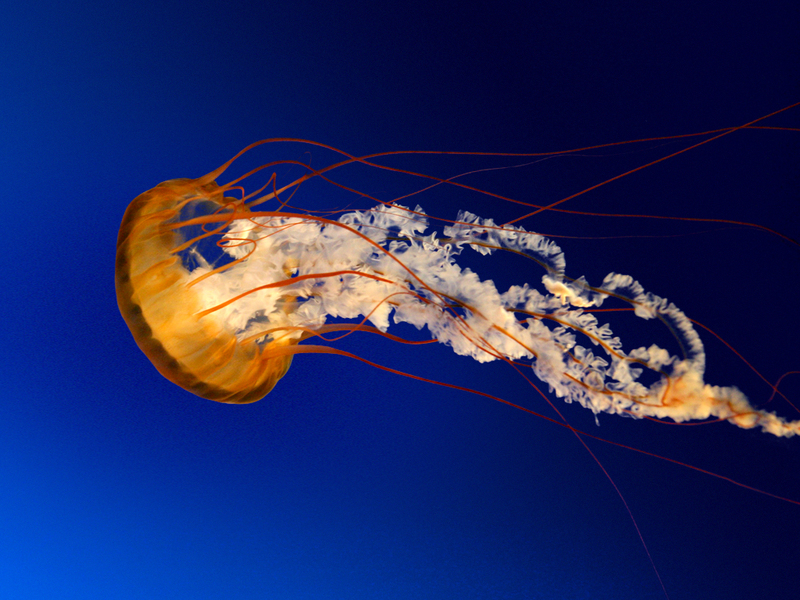 It is an Ideal destination for adventure and wildlife lovers. Small ponds and lush green forests of the Rajaji National Park add to the beauty of the holy land of Haridwar. Yet beyond the mystic aura and mythology, Haridwar casts another magic spell on the visitor. Being one of the oldest living cities, Haridwar finds its mention in the ancient Hindu scriptures as it waves through the life and time stretching from the period of the Buddha to the more recent period of British Rule. Haridwar has not only remained the abode of the weary in body, mind and spirit, but also served as centre of attraction for many, for learning arts, sciences and culture. Haridwar’s long standing position as a great source for Ayurvedic medicines and herbal remedies as well as its unique Gurukul school of traditional education, the scenic beauty and lush greenery, all give the city unique flavors and charm; a must among the sojourn centers in a discoverer's intinary of Uttarakhand , Haridwar is a destination for all seasons. Today, Haridwar is not only a religious place or a tourist destination. The district has grown with the growth of the country and is home to two major industrial hubs in Uttarakhand - The BHEL and the SIDCUL. Gurukul University and Dev Sanskriti University in Haridwar have given the district a reputation as an education hub too. Gurukul University and Dev Sanskriti University have vast campuses giving both modern and traditional educations, a mixture of its own kind. Although, there are other colleges like Chinmaya College of Sciences, SMJN College etc that are affiliated to the central HNB Garhwal University and other universities. Jolly Grant Airport, Dehradun is the nearest Airport to Haridwar. It is situated 36kms from Haridwar. Taxis are easily available from Jolly Grant Airport to Haridwar. Jolly Grant Airport is well connected to Delhi with daily flights. Haridwar is well connected by motor able roads with Jolly Grant Airport. Haridwar Junction Railway Station (IR station code : HW) is well-connected by trains, with frequent trains to Delhi (4-5 hours) and Dehradun (1 hour). There are also a few trains per day to Rishikesh, but to reach Rishikesh buses are faster and much more frequent. The railway station is located on the south side of town, within walking distance to most hotels and a 2-km hike to Hari-ki-Pairi. Haridwar is well connected with motor able roads. Haridwar is gateway to Shivalik range of Uttarakhand state. Luxury and normal Buses to Haridwar are available from ISBT Kashmiri Gate. Buses and Taxis to Haridwar are easily available from major destinations of Uttarakhand state. Haridwar is connected with National Highway 58 thus is easily accessible through cars and coaches. SIDCUL: SIDCUL stands for State Infrastructure & Industrial Development Corporation of Uttrarakhand Limited. It is a Government of Uttarakhand Enterprise incorporated as a Limited Company in the year 2002. It was started with an idea of promoting Industrial Development in the state, provide financial assistance in the form of debt, equity, venture capital, infrastructure development and to assist private initiative in Industry& infrastructure, implement & manage projects and to provide specialized financial, consultancy & construction etc. SIDCUL opened a way for the development of industrial infrastructure in Uttarakhand directly or through joint ventures, assisted companies etc. It also provides tax incentives for the companies establishing plants on its industrial estates. One of the SIDCUL industrial estates is in BHEL, Haridwar. This industrial area is campus for some very reputed industries like Hero Moto Corp., Mahindra & Mahindra, SBL, Hindustan Unilever Limited, and ITC Ltd. etc. BHEL: Bharat Heavy Electricals Limited, a Navratna Public Sector Undertaking (PSU) has its campus spread across an area of 12 sq, km. It was established in Haridwar in the year 1964. The main factory consists of two divisions – HEEP: The Heavy Electricals Equipment Plant and CFFP: The Central Foundry Forge Plant. The whole campus forms a working place for more than 8000 skilled employees. The Campus divided into 6 sectors providing excellent residential, medical and schooling facilities for its employees. Haridwar Industrial Area: Apart from SIDCUL and BHEL, there are other industrial areas in the district. These include Haridwar Industrial Area near railway station, Mustafabad Industrial Area, Dhanpura Industrial Area, Padartha Industrial Area, Landhora Industrial Area, Pipli Industrial Area and Bahadrabad Industrial Area. These area have many Pharmaceutical industries, paper mills, sugar mills, Mentha Oils units etc. 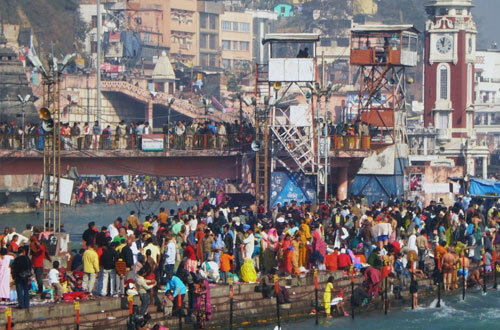 Shopping Hubs: Haridwar offers wonderful opportunities for shopping both for travelers and the local people. Moti Bazar near Har-ki-Pauri comprises of a series of shops selling religious items including pooja samagri, copper & brass utensils, sweets, glass bangles, kum-kum, pickles, cane baskets and ayurvedic products. The Jwalapur Market is one of the main shopping hubs in Haridwar. It has a variety of shops for apparels, garments, furniture, accessories. There are very good restaurants in this area. Bara Bazar is the market on Railway Road in Haridwar. It offers many religious and decorative items. Bara bazaar is famous for the wide range of sweets, Rudraksha Seeds and ayurvedic medicines available here. Kankhal Bazar positioned 3 km from the town of Haridwar is a also a popular for a vriety of religious commodities and accessories. Rudraksha and idols of Hindu gods are the main attractions of this market. There are a number of State Government Emporiums in the town. There are handloom shops, handicrafts shops etc. Apart from these there the Pentagon Mall in SIDCUL and Vishal Mega Mart near Rishikul Ground. Har ki Pauri: It is also known as Brahmakund and it is believed to be the place where divine nectar fell from the pitcher obtained from Samudra Manthan. It is the site for the famous Kumbh Mela which is celebrated once in a 12 years. 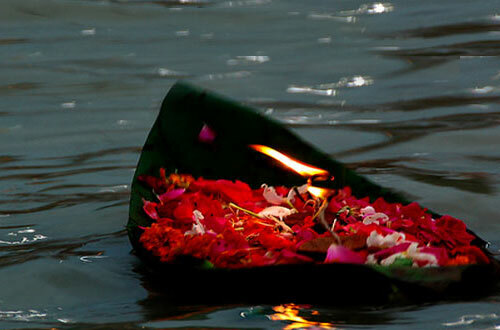 Large number of devotees comes especially to Haridwar to take a holy dip in the River Ganges. At twilight, when evening aarti is performed the reflection of the golden diyas that keep floating on the river offers an enchanting view of the Ghat to the visitors. This sacred Ghat was built by King Vikramaditya in memory of his brother Bhatrihari, who is said to have meditated on the banks of Ganga in Haridwar. Chandi Devi temple: Situated on the top of the Neel Parvat, Chandi Temple was built in 1929 by Suchat Singh, the King of Kashmir. The temple can be reached after a 3km trek from Chandi Ghat. The main statue of Chandi Devi Temple is said to be established by the Adi Shankaracharya in 8th century. Cable car has also been introduced to reach the temple. Maya Devi Temple: It is believed that the heart and navel of Goddess Sati fell here when Lord Shiva was taking her corpse. Maya Devi Temple is regarded as one of the Siddhapeeth’s. This ancient temple is dedicated to Goddess Maya Devi, the Adhisthatri deity of Haridwar. 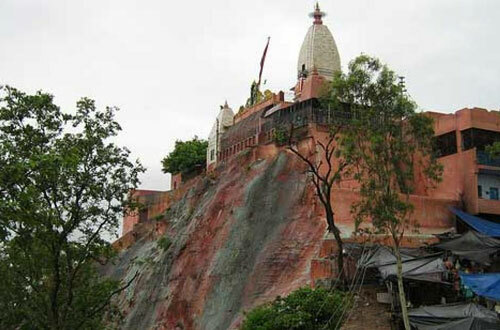 Mansa Devi Temple: Mansa Devi temple is perched on the top of the Bilwa Parwat and is dedicated to Goddess Mansa Devi. 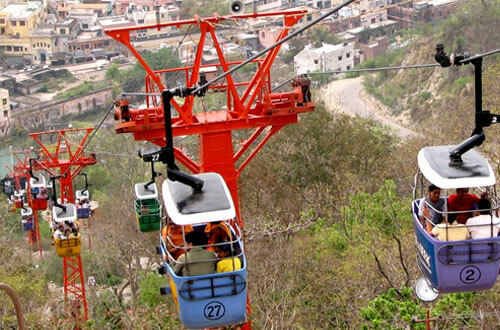 Mansa Devi can be reached either by a ropeway or on foot. A statue of the Goddess here has three mouths and five arms, while the other one has eight arms. The temple offers a bird’s eye view of the town of Haridwar. Sapta Rishi Ashram and Sapt Sarovar: It is believed that seven sages- Kashyapa, Vashisht, Atri, Vishwamitra, Jamadagi, Bharadwaja and Gautam- meditated at this place . Ganga split herself into seven streams to avoid any disturbance to their meditation. Daksha Mahadev Temple: The ancient Dasksha Mahadev Temple (Daksheswara Mahadev Temple) is located in the south Kankhal with Lord Shiva as its residing deity. According to mythology, this temple is supposed to have been the site of a yagna conducted by King Daksha. Bhimgoda Tank: This tank is at a distance of about 1 km from Har ki Pairi. It is said that while Pandavas were going to Himalayas through Haridwar, Bhim made this tank with the blow of his knee. Bharat Mata Mandir: 5 km north of the center. Dedicated to Mother India, this is half temple, half nation building exercise, with seven floors stacked with deities, saints, and secular heroes of all Indian faiths. Ma Anandamayee Ashram: Located at Kankhal, the samadhi of Shree Shree Ma Anandamayee (Anandamayi) is l ocated here and is also the Head Office of the revered organisation. Neel Dhara Pakshi Vihar: This Bird Sanctuary is situated on the main Ganges River, or Neel Dhara, at the Bhimgoda Barrage, it is a paradise for bird watchers and home to many migratory birds during the winter season. 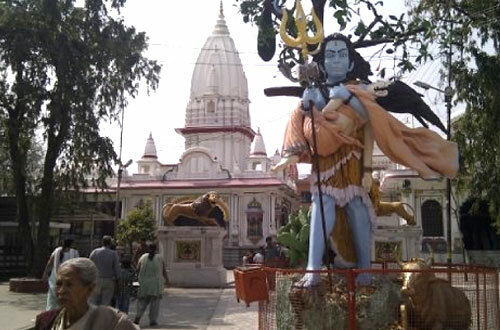 Doodhadhari Barfani Temple: Part of the ashram of Doodhadhari Barfani Baba, this temple complex in white marble has some of the most beautiful temples in Haridwar, especially the temples of Rama-Sita and Hanuman. Sureshvari Devi Temple: Temple of Goddess Sureshwari, situated in the midst of beautiful Rajaji National Park. Serene and religious atmosphere makes this temple abode of worshipers, saints etc. Parad Shivling: Situated in Harihar Ashram, Kankhal. Parad Shivling (Mercury Shivling) weighing about 150 kg along with a Rudraksha tree is among the main attractions in Haridwar. Shantikunj: Shantikunj is the headquarters of famous spiritual and social organisation All World Gayatri Pariwar (AWGP) established by Pt Shriram Sharma Acharya. 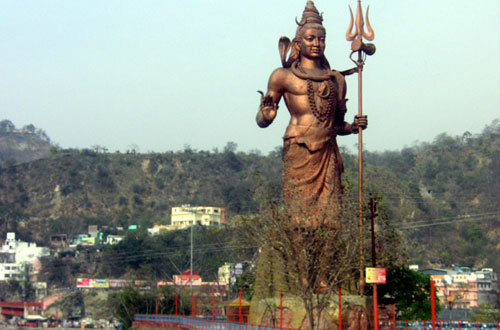 It is located at a distance of 6 Kilometers from Haridwar railway station on the way to Rishikesh/Dehradun on NH58. At the bank of the holy Ganges and between the Shivalik ranges of the Himalayas, it is also a place of attraction for tourists as well as seekers of spiritual guidance. Patanjali Yogpeeth (Trust): Patanajli yogpeeth is situated on Haridwar - Delhi Highway. It is an institution and research center of Swami Ramdev dedicated to Yoga. Every day thousands of people come here to learn yoga or to get medical advice from yoga gurus and Ayurved practitioners. This is one of the best places in Haridwar to visit. Sati Kund: another well-known mythological heritage worth a visit is situated in the Kankhal. Legend has it that Sati immolated herself in this kund. Rajaji National Park: It is gifted with immaculate beauty covering an area of 820sqkms on the edge of the Doon Valley. Rajaji National Park was established in 1996 and has over 23 species of mammals and 315 fauna species. It is a safe haven for panther, bear, chital, elephant, tiger, sambar, wild boar, barking deer, python, monitor lizard etc. Elephant Safari is available at Chilla and Dholkand. Haridwar has several other beautifully made Ashrams and temples of significance such as ShantiKunj, Jairam Ashram, Bhuma Niketan, Bharat Mata Mandir, Vaishnav Devi Temple, Radha Krishan temple, Shravan Nath Math, Pawan Dham, Doodhadari temple, Bilkeshwar Mahadev temple, Shahi Gurudwara, Parmarth Ashram, Prem Nagar Ashram, Ma Anand Mai Ashram etc. All of these places are worth seeing. 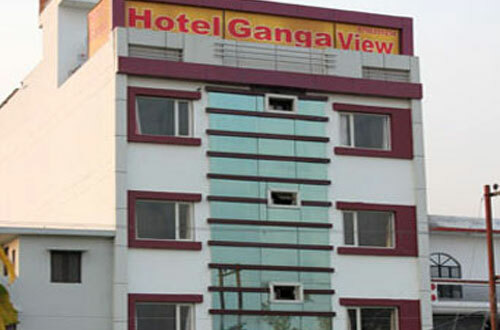 Hotel Ganga View, a well-established budget hotel in Haridwar city. Hotels in Haridwar are for their world-class hospitality and customer satisfaction. Our hotel is good for its warmth and hospitality and awaits you to explore the holy city with a truly new experience. This city is the meeting place for four pilgrim destinations of the Hindu religion, and receives several thousands of pilgrims, annually and is regarded as one of the seven holiest places to Hindus. A wide range of budgeted accommodations are there in our hotel. 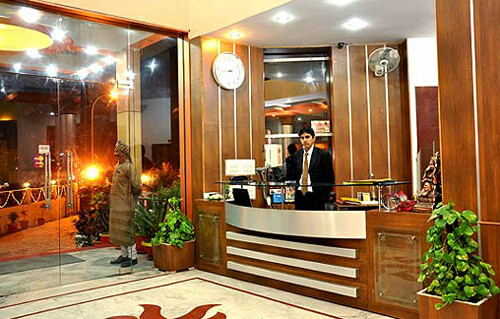 Hotel Sachin International is the most centrally located hotel, Situated in the heart of the city Haridwar. 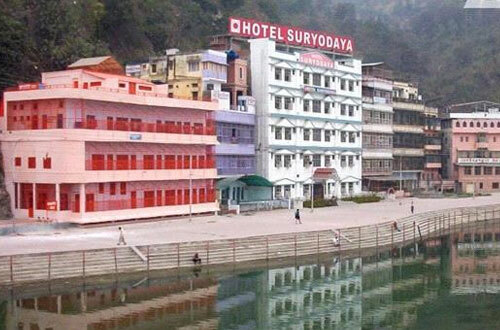 Just walking distance from Famous Har Ki Pauri & opposite to Haridwar Railway Station. The Hospitality trade is the mainstay of a large segment of society. In recent times however, the need for world class amenities has pushed the organized sector in Hotwiring to the fore and Hotel Sachin International can boast the total hospitality services. Hotel Sachin International is one of the most popular budget hotel in the city and is designed to cater to a cosmopolitan clientele. The entire staff of Hotel Sachin International strives to maintain this level of superior service. From the second you check in to the moment you check out, you'll experience our dedication to excellence first hand. And this commitment has paid off time and time again the form of acknowledgments and awards. Idyllic holiday retreats in enchanting settings or elegant hotel . Suryodaya Hotel is the epitome of luxury and hospitality. Exquisite interiors, impeccable service, fine cuisine and contemporary technology come together to create an experience that is both grand and intimate. Exquisite interiors, impeccable service, fine cuisine and contemporary technology come together to create an experience that is both grand and intimate Exquisite interiors, impeccable service, fine cuisine and contemporary technology come together to create an experience that is both grand and intimate. 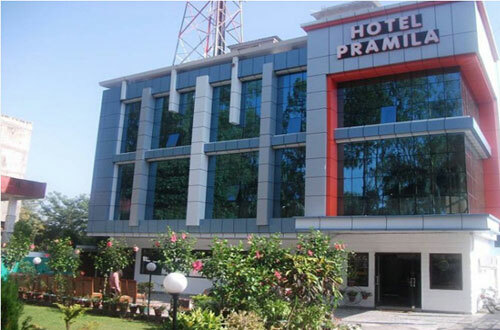 Conveniently located in Haridwar, Hotel Pramila is a great base from which to explore this vibrant city. Set a km from the excitement of the city, this 3-star hotel commands an excellent location and provides access to the city's biggest attractions. Also within easy reach are Har-ki-Pairi Ghat, Mansa Devi, Chandi Devi, Railway Station, Busand others.. Hotel Pramila is promoted by first generation entrepreneur & successfully running the hotel from last 2 decades. Hotel is providing the best services by a group of professionals by adding personel touch and hence deriving our motto "Warm Hospitality". Internet facility (Wi-Fi) is also available in all the rooms. Carefully designed with flexibility in mind, with unique air conditioned & versatile Syndicate Suites, and magnificent dining and entertaining facilities, The Hotel is also extensively equipped to satisfy a wide range of Conference & Banqueting requirements.